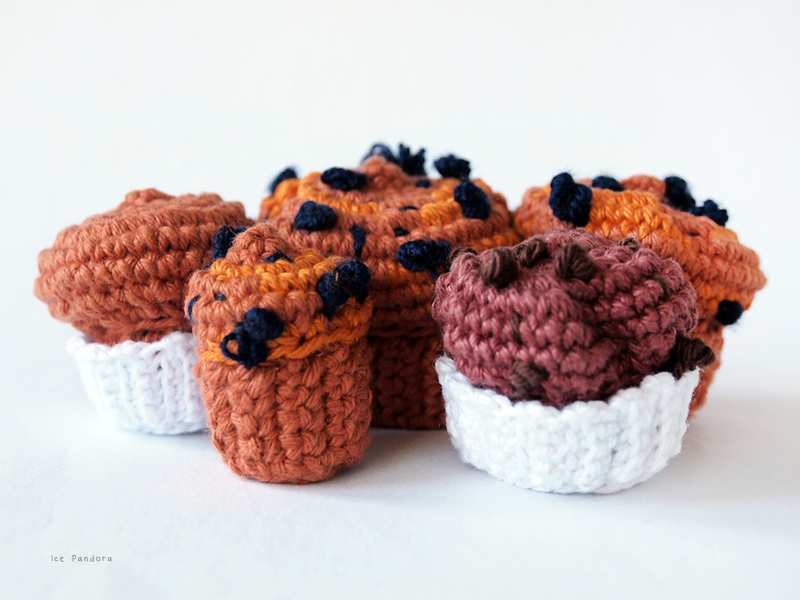 Crochet, embroidery – A no guilt pleasure for every breakfast: muffins! Especially wholegrain ones with chocolate/blueberries as extra treat inside. 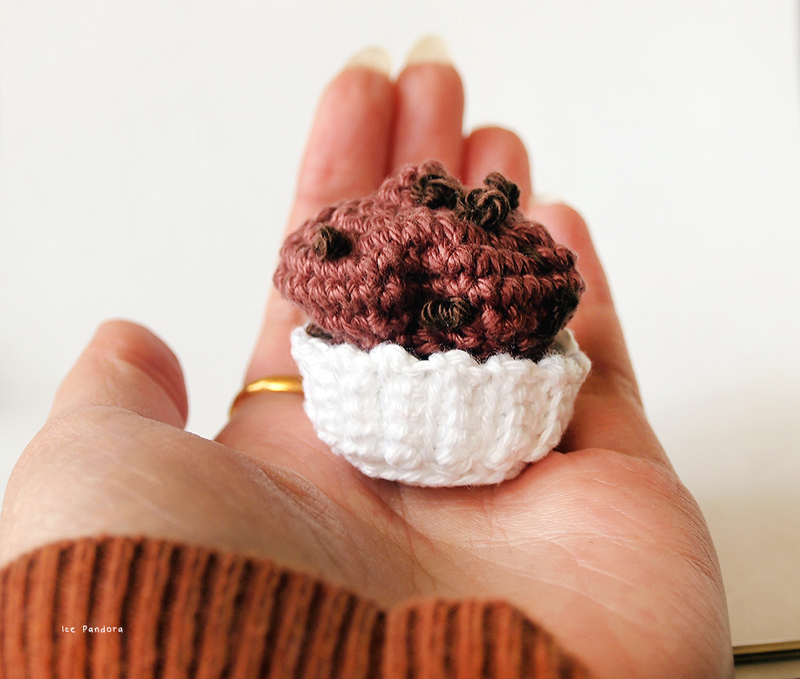 My crochet muffins are made with cotton yarn, including the paper cups! 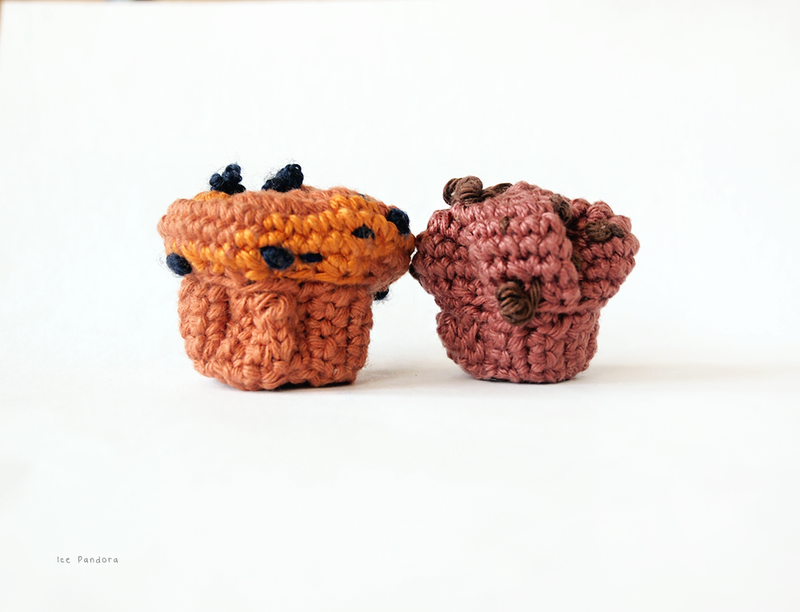 The chocolate chips and blueberries are created with the 'French knot' (tut here) embroidery technique. More info at my Ravelry. 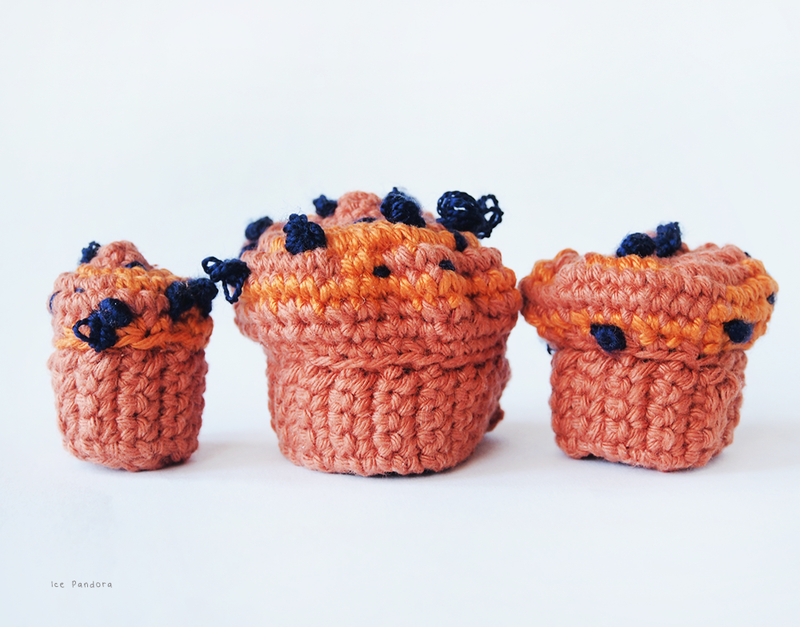 Haken, boduren – Geen foute maar juist heel verantwoordelijk bij je ontbijt: muffins! Vooral mijn gehaakte volkoren muffins met chocolade/blauwe bessen zijn heerlijk! Deze zijn gemaakt met katoenen garen evenals de papieren cups. 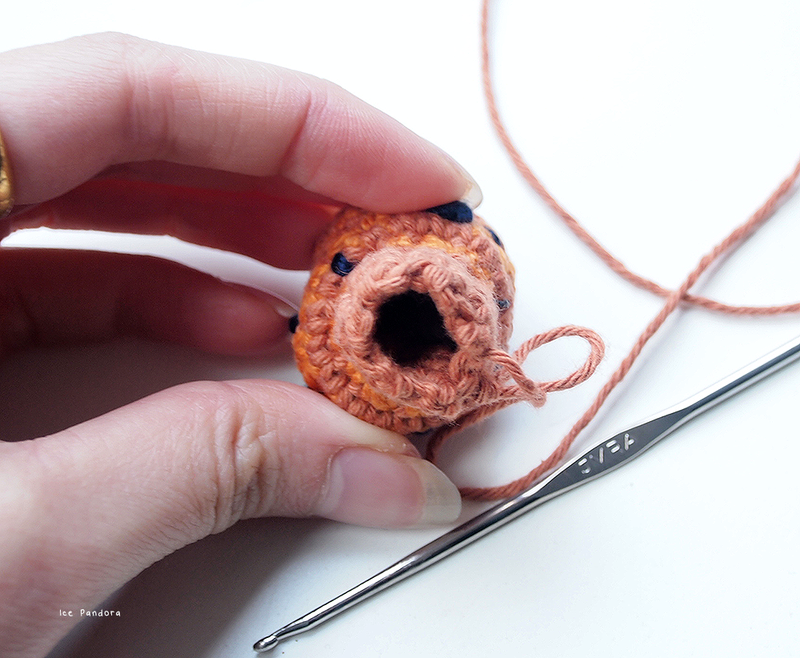 Met de 'Franse knoop' (DIY here) heb ik de chocolade druppels en blauwe besjes gemaakt. 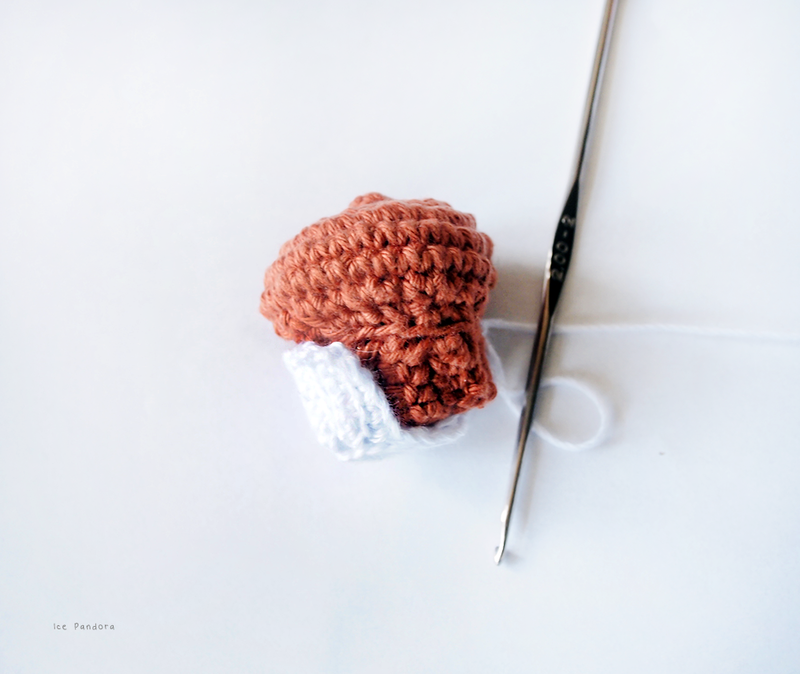 Meer info op mijn Ravelry. 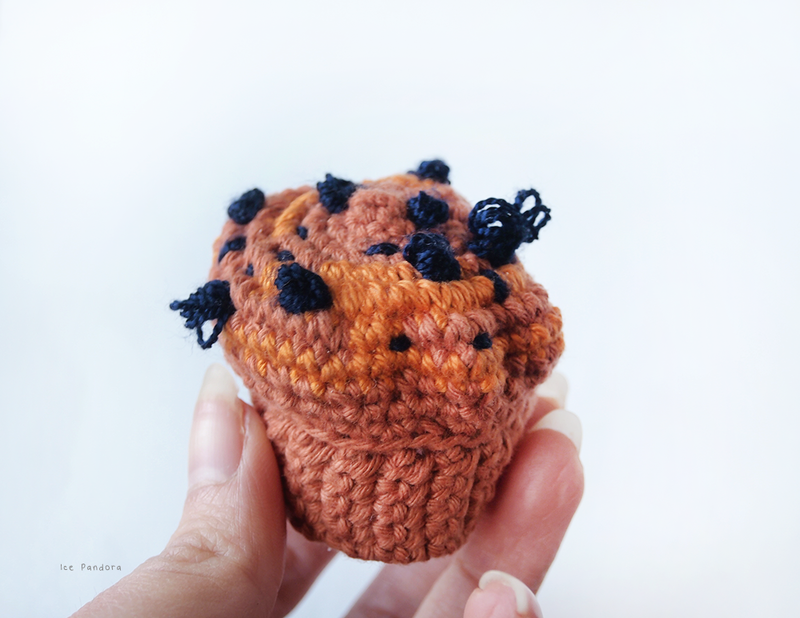 so sweet, I really thought in the beginning it was real muffin!!! 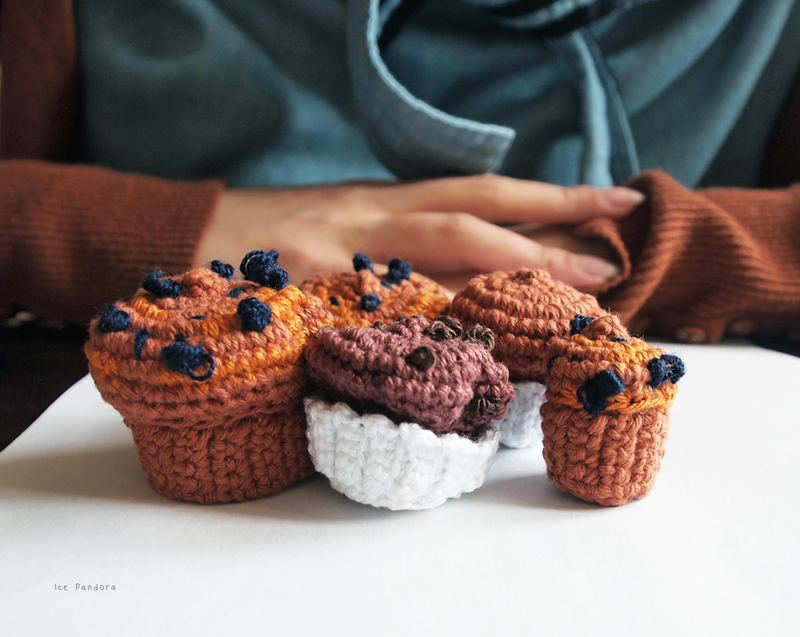 At first glance I totally thought these were real muffins! SO cute! So cute! I love how you're always creating. Ooh my goodness, these are adorable! 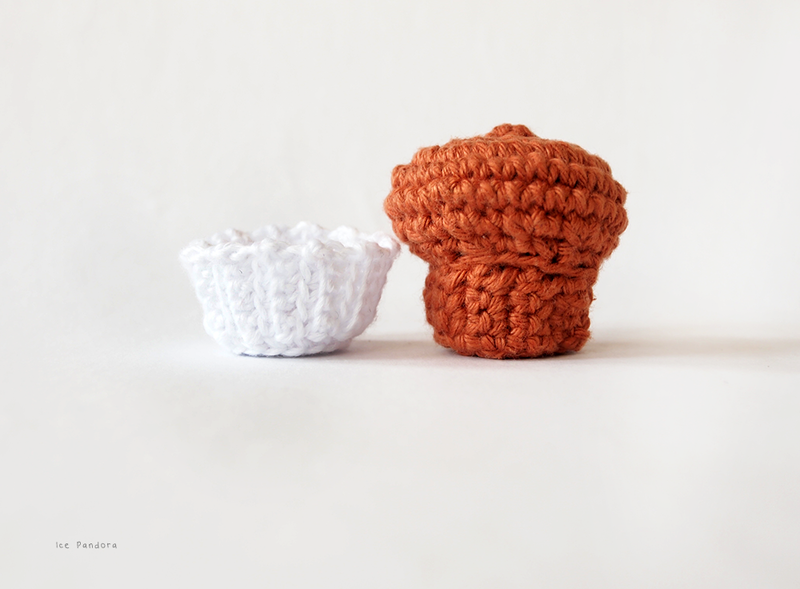 These look adorable and would make really cute gifts! 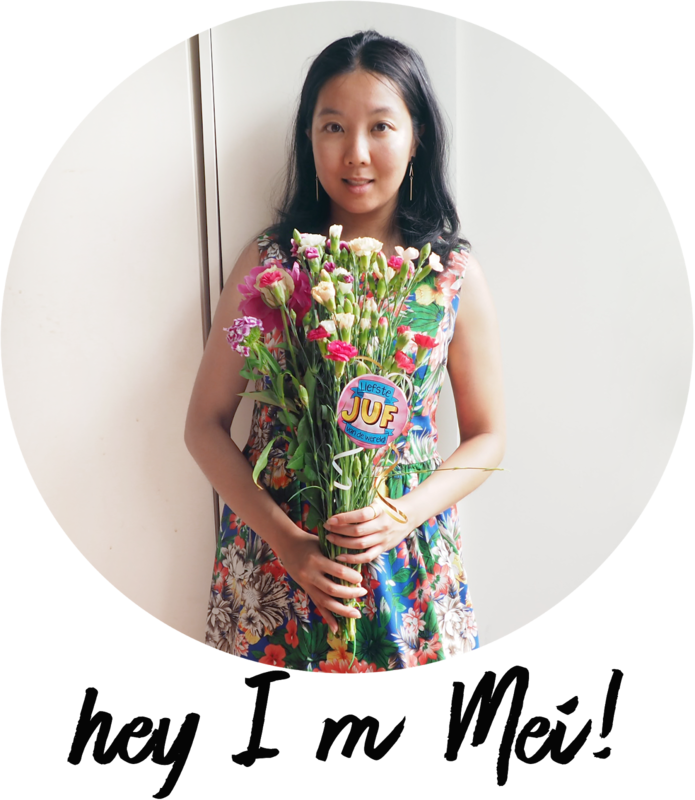 Awww the cute muffin paper detail is stealing my heart :) You're super talented Mei!